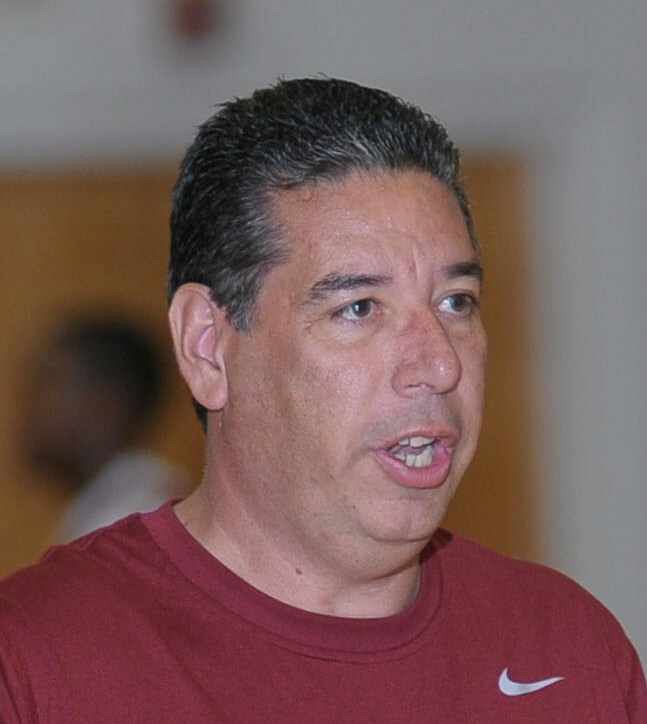 John Taylor took over the men’s basketball program at Antelope Valley College last season and promptly led them to a 24-8 record and a trip to the Final four in Sacramento, California. Previous to that, Coach Taylor was the head women’s basketball coach and led AVC women’s program to six conference tiles, two trips to the Elite 8, was named conference coach of the the year three times, and was named California community college Coach of the year in 2005 when he lead AVC to a 31-3 record and a birth in the Final Four in San Diego. Coach Taylor also coached at LA Valley College where as an assistant and head coach led the Monarchs to four Elite 8 trips. Coach Taylor was also named Coach of the Year in the Western State Conference in 1998 while the Monarchs went 12 and 0 in conference play and made it to the Elite 8 in Irvine. Coach Taylor has a couple of unique distinctions: His is one of only a handful of coaches to lead two different programs to the Elite 8, to lead two different programs to undefeated conference titles and be named conference coach of the year in two different conferences. Also, he is only one of four coaches in California community college basketball history to lead a women’s and a men’s team into the Final Four. Perhaps Coach Taylor’s best accomplishment throughout the years has been sending on more than 75 male and female student athletes with athletic scholarships to four-year universities all over the United States. In the past year, Taylor led the State JUCO teams in placing 6 players with university scholarships including three D-1 schools. Coach Taylor demands high standards from his student athletes in academics as well as basketball skills. It is the only way to operate an elite JUCO basketball over the long-term. Not a bad resume for a “rookie coach”. Best of luck to Coach Taylor and staff next year in the toughest conference in the state.